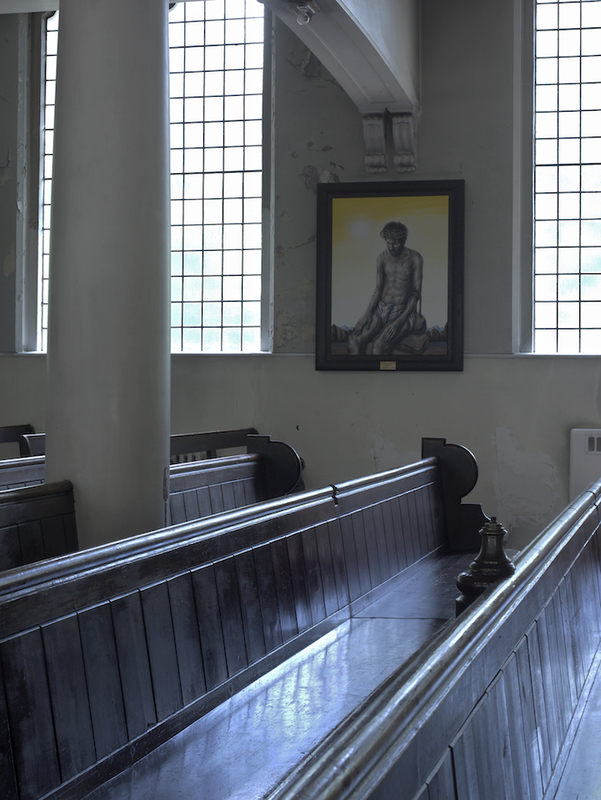 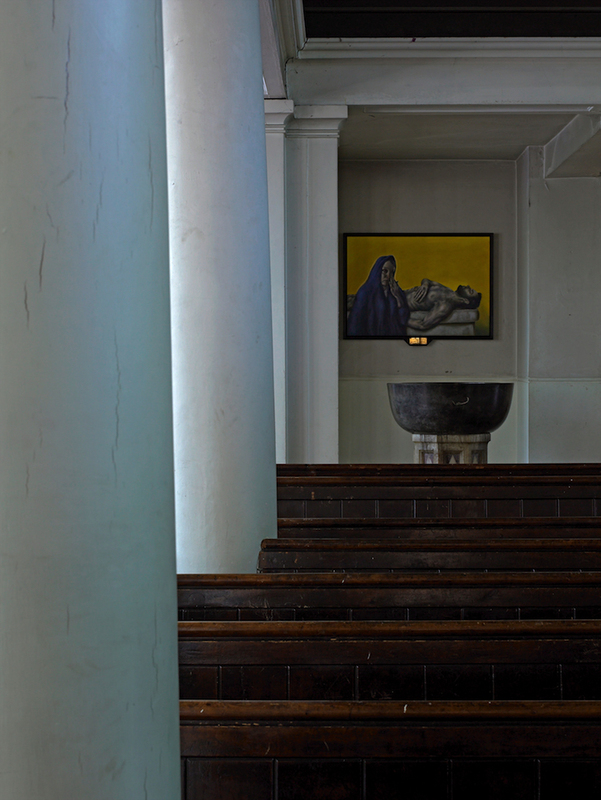 Chris Gollon’s fourteen paintings of the Stations of the Cross are permanently installed in the Church of St John on Bethnal Green, which is a beautiful grade-one listed church designed by Sir John Soane and located next to the Museum of Childhood. 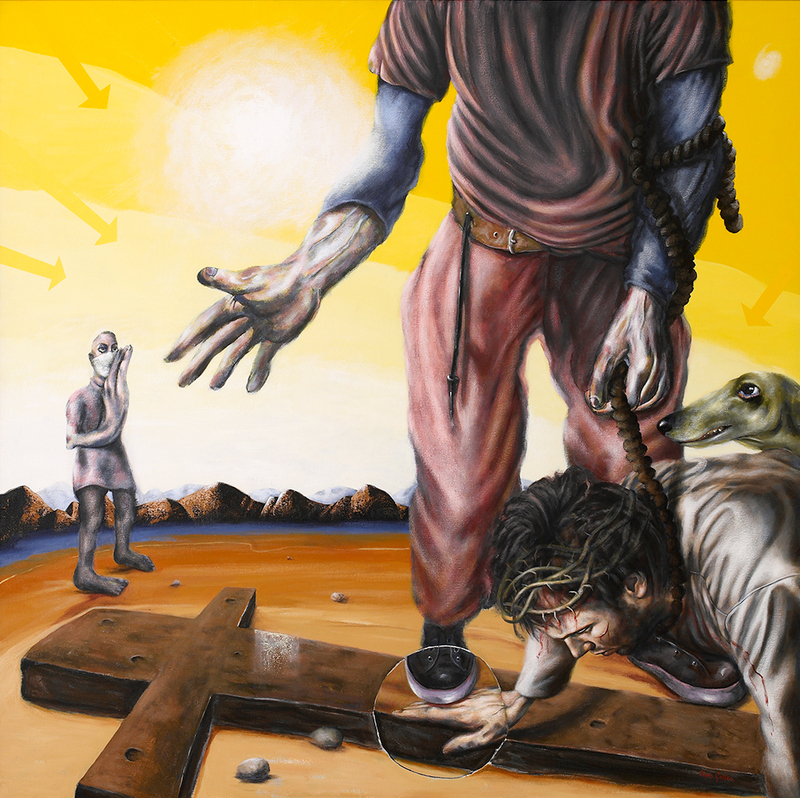 To read more about the story of this unusual major commission, click: Stations of the Cross. 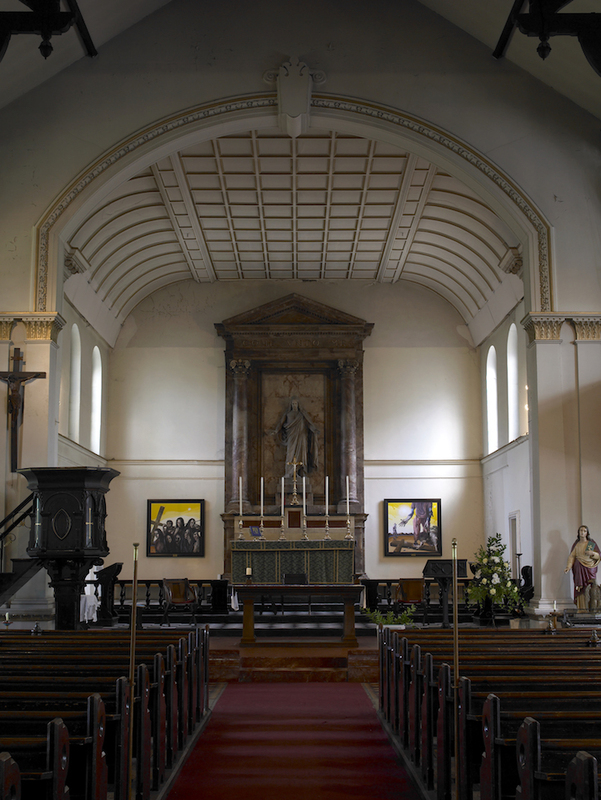 It is open to visitors Saturday 10-11am, or during services (latter listed at bottom of each page of SJBG website): Church of St John on Bethnal Green.